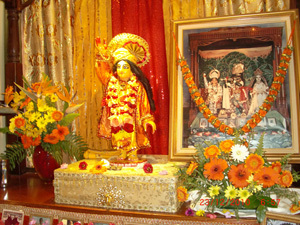 If you would like to bring an offering for the deity, we recommend flowers and fruits. If you are interested in being engaged in seva, just call ahead or email us. The first step is to come here and get to know our community. Service donations are always appreciated.